IREL recruitment 2019: Aspirants looking for Central Government jobs, Indian Rare Earths Limited (IREL) recruitment notification 2019 is Published Official notification as given below. Aspirants must go through the official IREL recruitment 2019 notification thoroughly before applying for the post. IREL recruitment application is collected through Online mode or by post. The applicant meets the eligibility norms of Latest IREL Recruitment notification 2019 only apply for the vacancy, else ignore. Aspirants have a golden opportunity in the Indian Rare Earths Limited (IREL). Aspirants can apply only by Online, Submit the application on or before the last date of the IREL latest Recruitment notification 2019. 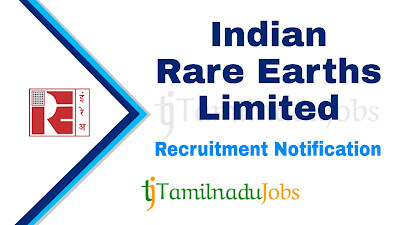 The Aspirants are requested to read some basic information about the Indian Rare Earths Limited (IREL) job notification 2019 like eligibility criteria, age limit, selection process and more by clicking above. Before applying, candidates are requested to read the official notification of IREL Recruitment 2019 for more detail and correct information on their official website(http://www.irel.co.in/). Another method, if you are not interested to give your information but still you need to get notified the latest IREL Recruitment 2019 then this is for you. Yes, no need to give your information but still you get the latest IREL Recruitment 2019 notification in your Facebook feed. Here is our official Facebook page link, just like our page to get the official notification of the govt jobs 2019 in your Facebook feed. Hurry up! Just like our official Facebook page is given below now. IREL Recruitment 2019 notification is given in this page by Tamilnadu jobs. 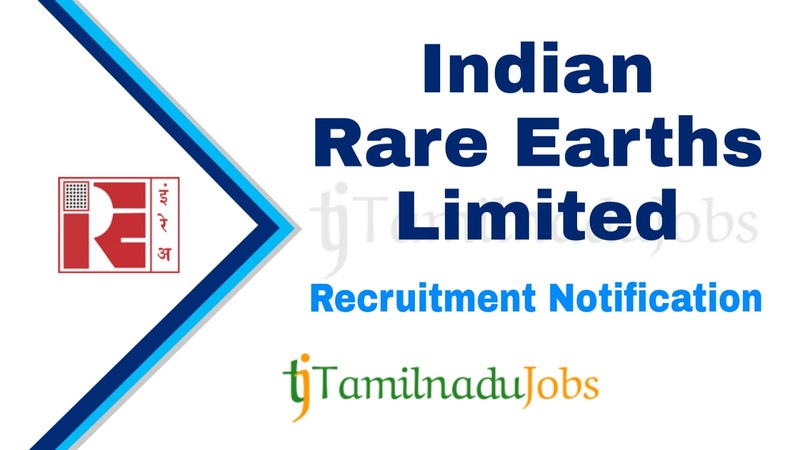 Also, get the IREL Recruitment 2019 Latest, admit cards and result announced by the Indian Rare Earths Limited (IREL) are updated regularly by the admin, bookmark this page by pressing Ctrl+D.